Internet Development has proven over the past few years to be a very steady career. Anyone who has chosen this as a career path or is interested in Internet development as a hobby, knows that programming and information is constantly evolving. Therefore, it is important for anyone working in Internet development to stay on top of the latest trends and information. 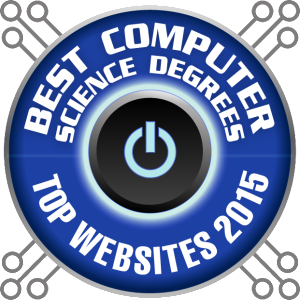 The staff at Best Computer Science Degrees is aware of this constant need for information and decided to compile a list of 100 great websites for Internet developers. We looked at hundreds of sites relating to Internet development. The websites we chose to include on this list were based on their popularity and the information they provided. Their information needed to be relevant and easy to understand. We chose blogs based on their popularity and associations based on their diversity and professionalism. We hope those currently working in Internet development, students earning Internet development degrees and anyone interested in Internet development as a hobby can use this list as a great resource and learning tool. The websites are divided by their type of website and then are listed in alphabetical order within each type of website. American Institute of Graphic Arts – The AIGA is an association for graphic artists, including those in the digital arts, such as Internet Developers and page designers. Association for Women in Computing – The AWC is one of the first professional organizations for women in computing and is dedicated to promoting the advancement of women in computing. Association of Information Technology Professionals – An association which seeks to advance the IT profession through professional development, support of IT education, and national policies on IT. Association of Web Design Professionals – An association of Web design professionals to allow non-Web professionals to look for developers for work. IEEE Computer Society – This society is a source for computer technology information, inspiration, and collaboration. International Association of Computer Science and Information Technology – The website for this professional organization with up-t0-date information about Internet developers. International Webmaster’s Association – This organization is the industry’s recognized leader in providing educational and certification standards for Web professionals. HTML Writer’s Guild – A leading training organization for the Web design community. Network Professional Association – The website of the leading organization for network computing professionals. Society for Technical Communication -The website for the world’s largest and oldest professional association dedicated to the advancement of the field of technical communication. Web Design and Developers Association – An International trade association of Internet professionals. Web Professionals – An organization dedicated to the support of individuals who create, manage or market web sites. Women in Technology – An organization promoting women in the technology field. 24 Ways – 24 Web design and development articles by leading website builders. Ajaxian – A website focusing on ajax news and information. A List Apart – A website about Web development and design. App Happening – A website that helps businesses develop apps. Code School – A website that teaches web technologies in the comfort of your browser with video lessons, coding challenges, and screencasts. Code Visually – A community with resources and tools for Web developers. Computer World – A site for IT and computer news. Delicious – A social bookmarking site for Web developers. Design Float – A site for Web design news and tips. Design Reviver – A site with information for Web designers, including tutorials and free downloads. DevArticles – A directory offering sample code such as Flash, embedded tools, and mobile Linux. Developer Tutorials -This site offers free scripts and developer manuals for Web design. Dev Shed – A site offering free guides and tutorials to Web developers, in addition to being an active forum for the Web developer community. DevX – A website that is resource to other sites covering the popular programming topics such as Java, C++, Database programming, Visual Basic, mobile programming and much more. DZone – A social news site for Web developers. Free Software Directory – A directory of free software within categories such as audio and video, database, emails, games, graphics, Internet apps, communications and more. Github – A collaborative site for code review and code management. Gizmodo – A website about the latest technology and electronic news. HTML Goodies – A site with up-to-date information on HTML for Web developers. IBM Developer Works – This website offers articles and tutorials pertaining to development topics. Inspect Element – A website for Web designers and Web developers to learn how to better their skills. Java Tester – A website about learning Java programming language. Mozilla Thimble – An online webpage editor and set of remixable projects designed to help kids learn how to write the Web. No Excuse List – This simple website offers a list of places on the web where to find learning material on any subject for free, including computer science programming questions. Quora – This is a question-and-answer based site. Questions are created, answered , edited and organized by its community of users. O’Reilly Network – A site containing articles and blogs about Web development. Planet Source Code – A site that has a large library of sample code of most programming languages. Programming Basics – A website to teach people to learn how to program. Science Daily – A website with science information and up-to-date technology news. Scratch – A site by MIT that allows you to program your own interactive stories, games, and animations, then share your creations with others in the online community. Six Revisions – A website that publishes practical and useful articles for designers and web developers. Source Forge – This site is a web-based source code repository. It acts as a centralized location for software developers to control and manage free and open-source software development. Stack Exchange – This is a question-an-answer based site where users can find specific science-related content. Stack Overflow – This a question and answer site for professional and enthusiast programmers. It’s 100% free, and no registration required. Study Web – A website with tutorials to web page design and computer programming. Tech Republic – A website that helps IT decision-makers identify technologies and strategies to empower workers and streamline business processes. Tech Target – A site for technology buyers researching and making enterprise technology decisions. Treehouse – A website that offers courses that are more project-oriented than language-oriented, but can help beginning programmers in coding and developing applications. Tutorials Point – This site provides free tutorials and reference manuals with examples for computer programming code. Tutsplus – A website that will “spoon-feed” webpage building information. Udacity – A website with video lectures and quizzes to get explanations on coding. Webappers – A website that provides resources and news to open source and free applications, useful to web developers and designers. Web Development Checklist – A checklist for web developers building modern websites. Web Developer Plus – A site about Web development and design tutorials, tips and source codes. Web Resource Depot -A website that showcases new web resources for web developers and designers. BBC News Technology – The technology related news of the BBC. CNET – A news site for technology related news. CNN Tech – CNN’s dedicated site for technology-related news. Endgadget – A news site for technology news, advice and features. Extreme Tech – A website dedicated to computing and electronic news. Live Science – A website devoted to technology news and features. New York Times Technology News – The technology news of the New York Times. Slashdot – A technology-related news website. Tech Crunch – A news site for the latest in technology news. Tech News World – A journal with up-to-date information on technology news. The Next Web – A technology focused media company founded in 2008, focusing on international technology news, business and culture. Wall Street Journal – This newspaper talks not only about financial news, but also technology news. Net Magazine – A magazine devoted to Web design. PC Magazine – The website of the popular technology magazine. Smashing Magazine – An online magazine for designers and developers, with a focus on useful techniques and best practices in web design. Speckyboy – A magazine for Web design news and resources. Web Designer – A magazine about Web design and development news with free tutorials and guides. Wired – The website of the magazine with technology news, trends and stories for computer scientists and programmers. Adaptive Path – A blog offering news about interface design. Boxes and Arrows – A blog about design principals. Cats Who Code – A blog about Web development. Codea Tutorials – A blog about Codea and developing apps for the iPhone and iPad. Coding Horror – A blog about Web development. Creative Blog – The latest on Web design and related information. CSS Globe – A blog about Web design news. Digital Inspiration – A blog from top computer scientist Amit Agarwal, with how-to guides for computer software, consumer gadgets, and web apps. Line 25 – A blog about Web design. Noupe -A blog about news and resources for Web development and design. PHP Developer – News from sites and blogs about PHP, including tutorials. Reefwing – A blog about coding and iPhone and iPad apps. Signal vs. Noise – A blog by the company 37 Signals that discusses design and usability. Snook – A blog about tips, tricks and bookmarks about Web development. Spoongraphics – A blog focusing on graphics and Web design, which includes tutorials and free, downloadable resources. Vandelay Design – A blog about Web design and development. Wake Up Later – A website general web development related things, such as coding mistakes and improving productivity. Web Designer Wall – A blog that features design ideas and elaborate, stunning tutorials, such as creating a CSS gradient Text Effect. Webitect – A resource blog for Webmasters. Web Monkey – A blog about HTML coding and the latest in website development news. Women in Computing – A blog that supporting women in computing.